To the mains, and a dish of poached lobster with red mullet, mussels and a saffron broth (£32.50) was delicious. Each of the seafood elements of the dish had been wonderfully cooked, particularly the tasty red mullet. The broth was also wonderful and rich with the flavour of a good seafood stock. 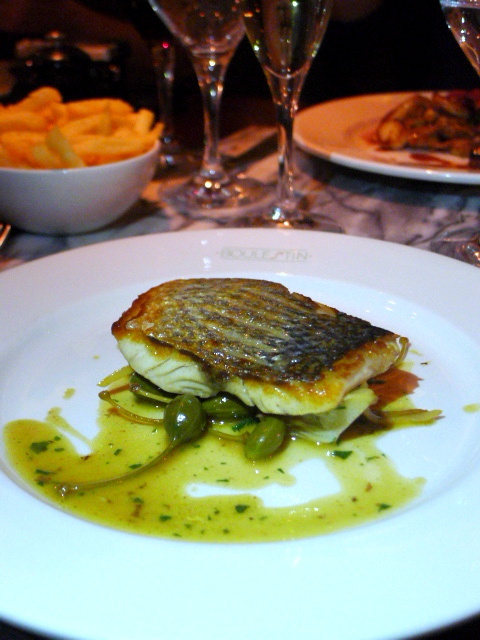 I also tried the roasted cod with fennel puree and tapenade (£22.50) which was nicely cooked. 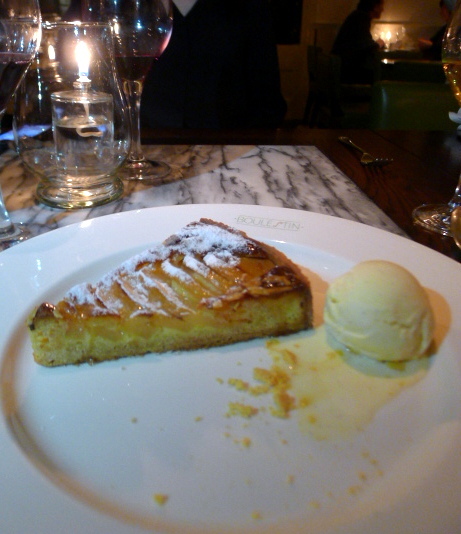 I loved the pear and almond tart (£8.75) with Jersey cream. The pastry was heavenly and precisely executed. It was incredibly light, extremely thin and best of all, fabulously short. The filling was also delicious, particularly the nutty frangipane which sat alongside the slivers of pear. The bake on the chocolate fondant (£9.50) was also excellent, resulting in a pudding that was delicious and lusciously runny in the centre. However a tarte légère aux pommes (a simple apple tart – £9.50) was almost too simple as it didn’t have enough caramelisation to make it interesting or very inviting. Boulestin showed off some accomplished French cooking that would have made Boulestin himself proud. The food was really enjoyable, the result of some fabulous ingredients being combined with the best of classical French techniques. Boulestin are offering a variety of set Christmas menus starting from just £50.00 per head, all of which will be inclusive of filter coffee and petit fours from now until 24th December. Prices: £31 to £62 for three courses from the a la carte menu. Excludes drinks and service. Your description of the dishes makes my taste buds explode with deliciousness. 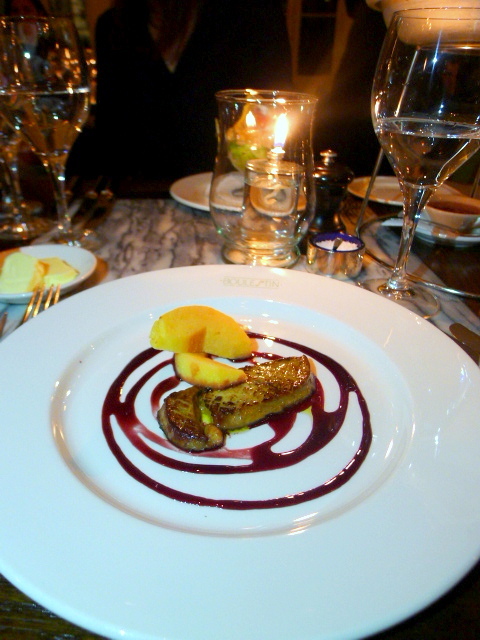 Famous for its French delicacies, Boulestin Restaurant became famous after the huge success of the cookery books written by Xavier Marcel Boulestin. Although, it was regarded as bad manners to discuss about Food in UK – (during the days of Boulestin) – he managed to change this perspective completely. His book “Simple French Cooking for French Homes” was reprinted six times between 1923 and 1930. Thank you for your comment. That is really good to know that he was so influential in the food world.